The calendar has rolled over to November and multiple retailers today kicked off pre-Black Friday savings, including eBay and Amazon. On eBay, the company has begun its "11 Days of Deals" event, which will provide a rolling list of savings on tech, apparel, and more, beginning with discounts on a trio of Apple devices. 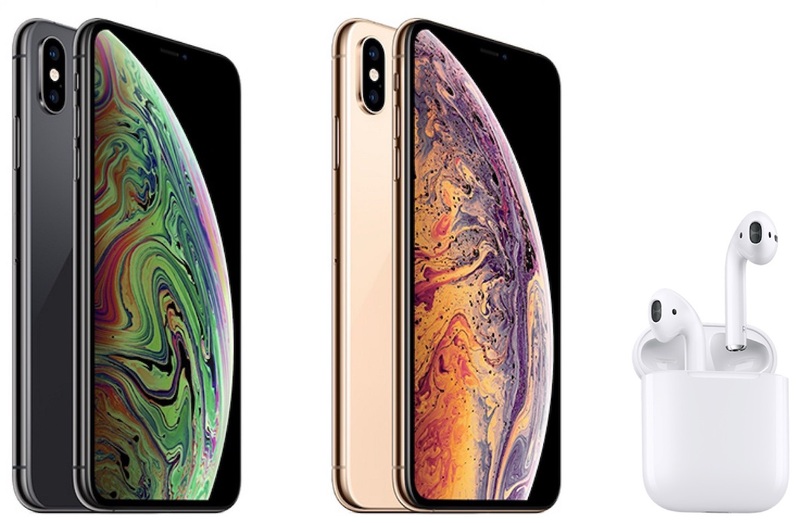 Today is the first day of the event, and eBay is discounting the iPhone XS, iPhone XS Max, and AirPods for today only, and all of the items are sold as new. These are the unlocked and full-price versions of the new iPhone XS, and one of the first straight cash discounts we've seen on the 2018 devices. For AirPods, eBay's sale is also one of the lowest prices available online today. Amazon has also debuted early deals for Black Friday, opening up an entire section for the weeks leading up to the shopping holiday. You can shop by Amazon Devices, Toys and Games, Computers and Accessories, Home, Electronics, and more, and many of these deals function similarly to Amazon's classic Lightning deals and Prime Day deals, lasting only a set amount of time. We've listed a few shopping ideas below, but there are many more to be found if you visit Amazon's Black Friday 2018 page. We'll be keeping track of all the best deals throughout the holiday season, so be sure to visit our Deals Roundup. "Holiday Shopping Begins With Measly Discounts on Unlocked iPhone..."
You can buy outright for the full price. That payment option you see is actually a PayPal loan (with a horrible interest rate!). Thanks Weaselboy. That was helpful. I was on the fence being able to justify upgrading from my 8 Plus, but basically I got $100 off when you include the taxes. It was enough to push me over the fence. $139 on Airpods has been around at Costco for a while.